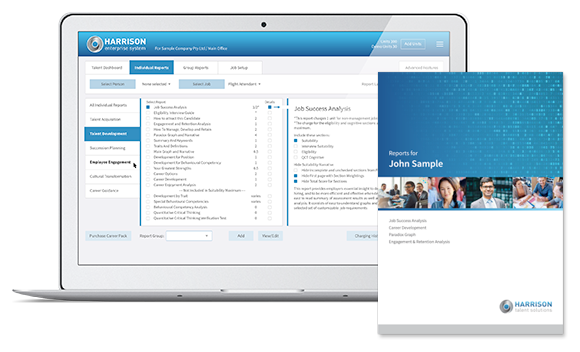 Candidates can be invited to apply using the invitation technology which enables you to determine the assessments you wish to administer, set languages, receive completion confirmations, and send customizable emails. Applicants who don't make the short list can receive a customizable decline email at any time during the campaign, providing an excellent candidate experience. The Harrison Eligibility Assessment is part of the recruitment and succession planning platform which optionally includes behavioral testing and aptitude testing. Each assessment score is displayed on a dashboard as well as an overall predictive score of their likely success in the job.